Just completed Second Unit shooting for "SOS": a Weather Channel series on survival. Our new Sony FS7MK2 is an inspiring piece of gear! Took it to Puerto Rico, and up into the San Gabriel mountains in California. Although it is always what's in front of the lens that counts, I can't stop raving about this new Sony camera! 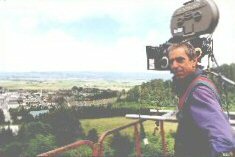 It is the first of the 'larger format' cameras I've used that behaves and handles like those excellent Betacam- or Varicam-style broadcast rigs from the earlier days! Thanks Sony for listening to our feedback! And it is of course 4K, recorded internally. Finally entering the world of 4K delivery! In Auburn, Alabama, we shot 6 short comedy video skits for the opening of this year's football season, for screening on college football's largest 4K Jumbotron at Auburn stadium. We are talking 190 feet wide! I had a great crew out of Atlanta, and with good glass (Cabrio 19 to 90mm) on the Sony FS700 feeding an Odyssey 7Q, the results were outstanding! If you are into college football, you know those Southeastern Conference fans are fanatical about their teams, so we had lots of enthusiastic extras and a super positive attitude all around. "War Eagle!" Spent a lot of the ski season up at Deer Valley Ski Resort in Park City, Utah, doing Video Motion Analysis for the elite ski instructors there. Using the very powerful DartFish program, we were able to make big improvements in technique for a lot of their clients. Nice to see big smiles and genuine satisfaction with the results of these video tools. Our new production camera, the Sony FS-700, has been happily earning its keep lately. Not only does it look terrific, easily creates extreme slo-mo (up to 480 fps at 720p HD), but functions well in ENG-style production. Recently we've used it on slo-mo promos for RallyMe; athletic training material for Motion Analytics LLC; and a reality-style home-improvement show for Ace Hardware. With it's large Super-35-sized chip, and 4K upgrade-ability, we think this format will be around for a while. Our eagerly-awaited PBS series, Pedal America will begin its run on May 5th, on most PBS stations around the country. Filmed over a three-month period around the US, it advocates for more bicycle riding, celebrates bicycle-friendly cities, and takes the viewer into some unexpected and really fun places. All of these new episodes are being produced out of Chicago by Ira David Levy, with Pilafian as D.P. for the series. Please check local listings, or go to Pedal America for more information. There are 7 half-hour programs in this first season. I hope you get a chance to view some or all of them. As we concluded the production phase of a new PBS series called 'Pedal America' I found myself in 74-degree Tampa Bay Florida, getting on a plane back home to minus-12-degree Jackson Hole. In three months we had filmed seven episodes in seven states around the US: Napa Valley, Austin Texas, Sedona Arizona, Chicago, Pennsylvania, Savannah Georgia, and finally Florida. Using a specially designed bicycle-mounted video monitoring and camera rig, we were able to achieve moving shots of host Ira David Levy talking while riding (not illegal in most states) as he explores pathways, infrastructure, and local movers and shakers in the bicycle world around the country. It will air in Spring 2012 on PBS. It was an inspiring and somewhat nostalgic glimpse into a simpler time, when I shot a PBS special on Greenwich Village folk music of the Sixties for Jim Brown Productions in New York. Please take a minute to look at DV magazine's fun and informative article about our work: http://www.dv.com/article/111882 The show, called "Legends Of Folk", aired nationally a few weeks ago. Just back from twelve days in Norway filming the US Women’s ski jumping team for Bill Kerig’s “Ready To Fly” (a feature documentary - see www.ReadyToFlyFilm.com.) Led by Lindsey Van, the current US National Champion, five American women athletes from Park City Utah, competed in the biannual Nordic World Championships at Holmenkollen in Oslo. We shot mainly on Canon 5D’s, which functioned perfectly in the sub-zero snowy conditions. Editing will be done by Savage Pictures in Salt Lake City, www.savagepictures.net for release next Fall. Tonight is the premiere showing of The Edge of Never, a documentary feature film of real-life coming of age saga set in the world of big mountain skiing. 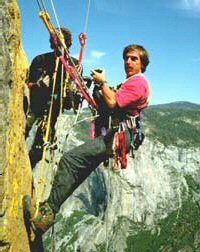 In 1996 extreme-skiing legend Trevor Petersen was killed in Chamonix, France. Nine years later, skiing icon Glen Plake decides it's time for Trevors 15-year-old son, Kye, to ski the route that killed his father and join the tribe of big-mountain skiers. I was the Directory of Photography for the film. We're on National Geographic Channel! 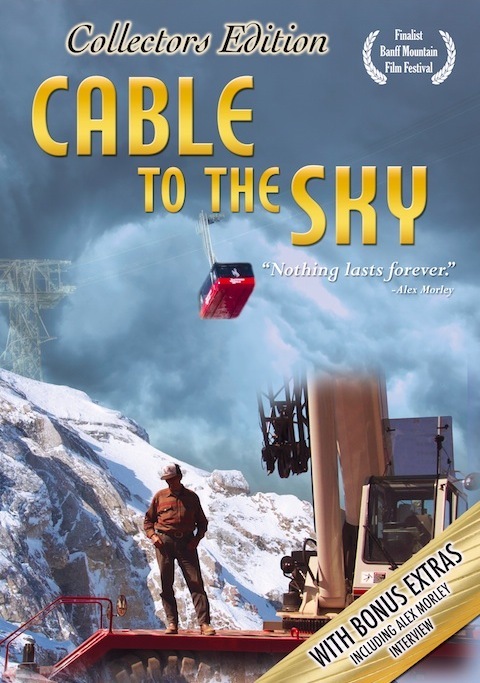 The US premiere of our one-hour documentary on the building of Jackson Hole's new $31 Million Aerial Tram will air on Thursday, Jan 7th on NGC and repeat several times over the next few days. It took over two years to shoot, and I am thrilled to have gotten a broadcast deal with both the domestic and the international divisions of the Channel. If you are here in Teton County enjoying the -13 evenings, come to the "What Lies Within" opening on Saturday at Elevated Grounds for hot cider and wine and see this special exhibit of Video Art plus new photographs. For more information, check out Tammy Christel's Jackson Hole Art Blog. In 1967, six heroic GTNP climbing rangers made a daring, 3-day rescue of an injured climber from the North Face of the Grand Teton. They received congressional medals of valor, and went on to illustrious careers, including one who became mayor of Salt Lake City, and one who became a well-read author. Last week I shot the backbone of a documentary about that rescue, and about the 'Band of Brothers' who pulled it off, for 'We Aspired Productions', out of Salt Lake City. Watch for it next year. Finished shooting "The Edge of Never" for Bill Kerig last month. Two great locations: Chamonix, France, and Whistler/Blackcomb, Canada. Both required a fair bit of time on skis - and of course, those are two of the world's great ski venues! So I was a happy camper. Look for Bill's movie in selected theaters this Fall. Or check his website www.theedgeofnever.com. I’m in Park City for a couple of days filming blind skiers on the nordic track at Soldier Hollow. The organization is called Ski for Light – www.sfl.org – and it is really inspiring – a very good group of folks. I'm very happy to announce that I got an Emmy nomination a few days ago for cinematography on the PBS series "Craft In America". I'm thrilled and honored, especially because it is entirely my own work, i.e., not a shared nomination. Our director, Dan Seeger, was very supportive of going the extra 9 yards for better imagery. And our EP, Carol Sauvion, made sure we had a little room in the budget to afford a few extra creative tools. I am bundled up here in Barrow, Alaska, the week before Christmas - filming a Ford truck commercial. It is unseasonably warm, according to the locals - somewhere between zero and 5 degrees! But the Northern Lights are spectacular, as we commute via chartered plane every day to Deadhorse. And of course--- it is always dark. Yes, the sun never comes up.....but so far my cameras just keep on working! 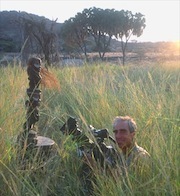 Now specializing in filming extinct species. Two recent projects for National Geographic Television: The Dire Wolf, and the Short-Faced Bear, both of which became extinct about 7,000 years ago. PBS aired "The War That Made America" on two successive Wednesdays, this week and last. Reviews were positive. I was the DP on episodes 1 and 3 of this lavish and expensive historical documentary series about the French and Indian War. For the battle scenes, I created a "Band Of Brothers" look entirely within the camera - a Hi Def Varicam - thereby saving lots of money in post production. 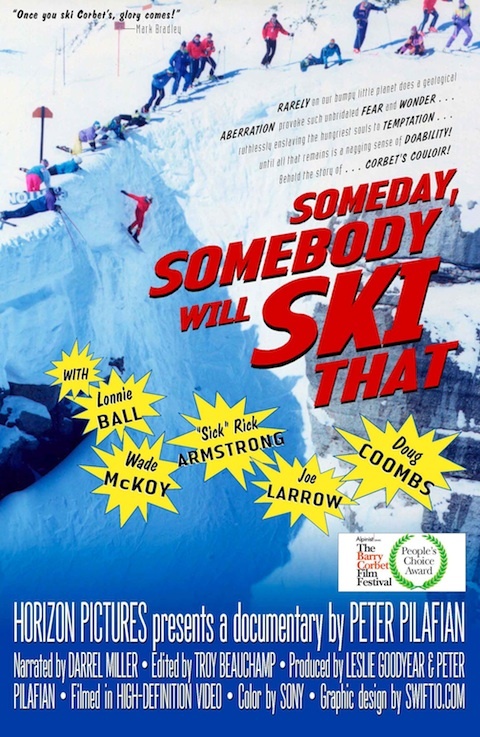 Last Thursday my new short film "Someday Somebody Will Ski That" premiered to a wildly cheering crowd at the 2nd annual Barry Corbet Film Festival in Jackson Hole. It easily won the Audience Choice Award - perhaps because I produced it in just over a month, start to finish - there was no time to overwork it! The 18 minute documentary, shot in HDV, tells legends and stories about the most famous ski run in North America - Corbet's Couloir at Jackson Hole. While I was with Harry Belafonte in Venezuela last week shooting a feature documentary about his "secret" life as a social activist, Mr. Belafonte made big waves when he called George Bush a terrorist. "I thought Bin Laden had a lock on that", said Jon Stewart on The Daily Show. "Riding Giants" has been running on HBO. If you missed it in the theaters, here is a second chance to see what some critics call "The best Surf movie ever made". Meanwhile, up in Montana I got so intimate with a Grizzly Bear last week that his drool was all over my lens. We were, of course, shooting a re-staging of the actual attack, but with a well-trained bear. Survived a month on the aircraft carrier USS Nimitz. Now shooting with Harry Belafonte for "The Secret Life of a Calypso Singer"
Copyright © 2019 Horizon Pictures, Inc.